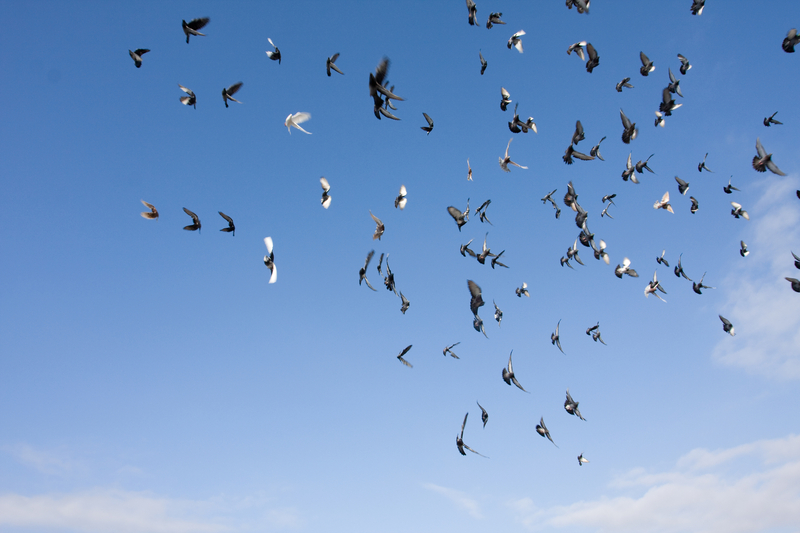 No evidence for a magnetite-based magnetoreceptor in the lagena of pigeons. Malkemper EP, Kagerbauer D, Ushakova L, Nimpf S, Pichler P, Treiber CD, de Jonge M, Shaw J, Keays DA. Curr Biol. 2019 Jan 7;29(1):R14-R15 (pdf) (abstract). Mutations in MAST1 Cause Mega-Corpus-Callosum Syndrome with Cerebellar Hypoplasia and Cortical Malformations. Tripathy R, Leca I, van Dijk T, Weiss J, van Bon BW, Sergaki MC, Gstrein T, Breuss M, Tian G, Bahi-Buisson N, Paciorkowski AR, Pagnamenta AT, Wenninger-Weinzierl A, Martinez-Reza MF, Landler L, Lise S, Taylor JC, Terrone G, Vitiello G, Del Giudice E, Brunetti-Pierri N, D’Amico A, Reymond A, Voisin N, Bernstein JA, Farrelly E, Kini U, Leonard TA, Valence S, Burglen L, Armstrong L, Hiatt SM, Cooper GM, Aldinger KA, Dobyns WB, Mirzaa G, Pierson TM, Baas F, Chelly J, Cowan NJ, Keays DA. Neuron. 2018 Nov 14. pii: S0896-6273(18)30952-8 (pdf) (abstract). Cryptochrome: The magnetosensor with a sinister side? Landler L, Keays DA. PLoS Biol. 2018 Oct 2;16(10):e3000018 (pdf) (abstract). Revised testing procedures do not elicit magnetoreceptive behavior in C. elegans. Landler L,Nordmann G, Nimpf S, Hochstoeger T, Kagerbauer D,Keays DA. BioRxiv (pdf) (abstract). Lidocaine is a nocebo treatment for trigeminally mediated magnetic orientation in birds.Engels S, Treiber CD, Salzer MC, Michalik A, Ushakova L, Keays DA, Mouritsen H, Heyers D. J R Soc Interface. 2018 Aug;15(145). (abstract) (pdf). Malkemper EP, Mason MJ, Kagerbauer D, Nimpf S, Keays DA. Ectopic otoconial formation in the lagena of the pigeon inner ear. Biol Open. 2018 Aug 2;7(8) (abstract) (pdf). Gstrein T, Edwards A, Přistoupilová A, Leca I, Breuss M, Pilat-Carotta S, Hansen AH, Tripathy R, Traunbauer AK, Hochstoeger T, Rosoklija G, Repic M, Landler L, Stránecký V, Dürnberger G, Keane TM, Zuber J, Adams DJ, Flint J, Honzik T, Gut M, Beltran S, Mechtler K, Sherr E, Kmoch S, Gut I, Keays DA. Mutations in Vps15 perturb neuronal migration in mice and are associated with neurodevelopmental disease in humans. Nat Neurosci. 2018 Jan 8. doi: 10.1038/s41593-017-0053-5 (abstract) (pdf). Landler L, Nimpf S, Hochstoeger T, Nordmann GC, Papadaki-Anastasopoulou A, Keays DA. Comment on Magnetosensitive neurons mediate geomagnetic orientation in Caenorhabditis elegans. elife. 2018; 7: e30187. (abstract) (pdf). Holt C, Campbell M, Keays DA, Edelman N, Kapusta A, Maclary E, Domyan E, Suh A, Warren WC, Yandell M, Gilbert MTP, Shapiro MD. 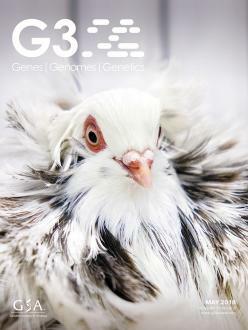 Improved Genome Assembly and Annotation for the Rock Pigeon (Columba livia). G3. 2018 Mar 8. (abstract) (pdf). Nimpf S, Malkemper EP, Lauwers M, Ushakova L, Nordmann G, Wenninger-Weinzierl A, Burkard TR, Jacob S, Heuser T, Resch GP, Keays DA. Subcellular analysis of pigeon hair cells implicates vesicular trafficking in cuticulosome formation and maintenance. Elife. 2017 Nov 15;6. (abstract) (pdf). Nimpf S, Keays DA. Is magnetogenetics the new optogenetics? EMBO J. 2017 Jun 14;36(12):1643-1646. (abstract) (pdf Nimpf 2017a). Breuss MW, Hansen AH, Landler L, Keays DA. Brain-specific knockin of the pathogenic Tubb5 E401K allele causes defects in motor coordination and prepulse inhibition. Behav Brain Res. 2017 Apr 14;323:47-55. (abstract) (pdf Breuss 2017a). Breuss MW, Keays DA. Tubulins and Brain Development – The Origins of Functional Specification. Molecular and Cellular Neuroscience, 2017. 2017 Mar 24. pii: S1044-7431(16)30250-0. (abstract) (pdf Breuss 2017b). Breuss MW, Nguyen T, Srivatsan A, Leca I, Tian G, Fritz T, Hansen AH, Musaev D, McEvoy-Venneri J, James KN, Rosti RO, Scott E, Tan U, Kolodner RD, Cowan NJ, Keays DA, Gleeson JG. Uner Tan syndrome caused by a homozygous TUBB2B mutation affecting microtubule stability. Hum Mol Genet. 2017 Jan 15;26(2):258-269. (abstract) (pdf Breuss 2017c). Broix L, Jagline H, L Ivanova E, Schmucker S, Drouot N, Clayton-Smith J, Pagnamenta AT, Metcalfe KA, Isidor B, Louvier UW, Poduri A, Taylor JC, Tilly P, Poirier K, Saillour Y, Lebrun N, Stemmelen T, Rudolf G, Muraca G, Saintpierre B, Elmorjani A; Deciphering Developmental Disorders study., Moïse M, Weirauch NB, Guerrini R, Boland A, Olaso R, Masson C, Tripathy R, Keays D, Beldjord C, Nguyen L, Godin J, Kini U, Nischké P, Deleuze JF, Bahi-Buisson N, Sumara I, Hinckelmann MV, Chelly J. Mutations in the HECT domain of NEDD4L lead to AKT-mTOR pathway deregulation and cause periventricular nodular heterotopia. Nat Genet. 2016 Oct 3. doi: 10.1038/ng.3676. (abstract) (pdf Broix). Pagnamenta AT, Howard MF, Knight SJ, Keays DA, Quaghebeur G, Taylor JC, Kini U. Activation of an exonic splice-donor site in exon 30 of CDK5RAP2 in a patient with severe microcephaly and pigmentary abnormalities. Clin Case Rep. 2016 Aug 23;4(10):952-956 (abstract) (pdf Pagnamenta 2016). Lange L, Pagnamenta AT, Lise S, Clasper S, Stewart H, Akha ES, Quaghebeur G, Knight SJ, Keays DA, Taylor JC, Kini U. A de novo frameshift in HNRNPK causing a Kabuki-like syndrome with nodular heterotopia. Clin Genet. 2016 Mar 8 (abstract) (pdf Lange). Breuss M, Morandell J, Nimpf S, Gstrein T, Lauwers M, Hochstoeger T, Braun A, Chan K, Sánchez Guajardo ER, Zhang L, Suplata M, Heinze KG, Elsayad K, Keays DA. The expression of Tubb2b undergoes a developmental switch in murine cortical neurons. 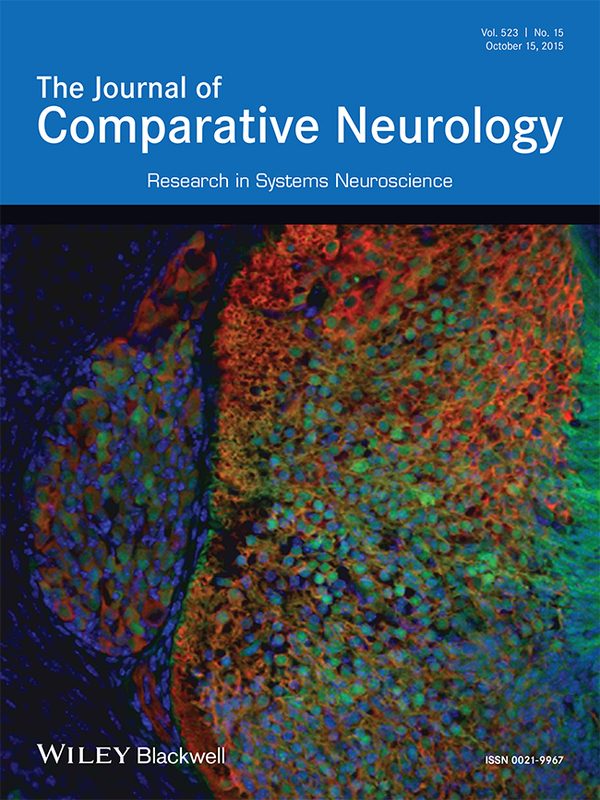 J Comp Neurol. 2015 Oct 15;523(15):2161-86. Cover. (abstract) (pdf Breuss). lkovski B, Pagnamenta AT, O’Grady GL, Kinoshita T, Howard MF, Lek M, Thomas B, Turner A, Christodoulou J, Sillence D, Knight SJ, Popitsch N, Keays DA, Anzilotti C, Goriely A, Waddell LB, Brilot F, North KN, Kanzawa N, Macarthur DG, Taylor JC, Kini U, Murakami Y, Clarke NF. Mutations in PIGY: expanding the phenotype of inherited glycosylphosphatidylinositol deficiencies. Hum Mol Genet. 2015 Nov 1;24(21):6146-59. (abstract). Pagnamenta AT, Howard MF, Wisniewski E, Popitsch N, Knight SJ, Keays DA, Quaghebeur G, Cox H, Cox P, Balla T, Taylor JC, Kini U. Germline recessive mutations in PI4KA are associated with perisylvian polymicrogyria, cerebellar hypoplasia and arthrogryposis. Hum Mol Genet. 2015 Jul 1;24(13):3732-41. (abstract). Ngo L, Haas M, Qu Z, Li SS, Zenker J, Teng KS, Gunnersen JM, Breuss M, Habgood M, Keays D, Heng JI. TUBB5 and its disease-associated mutations influence the terminal differentiation and dendritic spine densities of cerebral cortical neurons. Hum Mol Genet. 2014 May 15. (abstract) (pdf Ngo). Conti V, Carabalona A, Pallesi-Pocachard E, Parrini E, Leventer RJ, Buhler E, McGillivray G, Michel FJ, Striano P, Mei D, Watrin F, Lise S, Pagnamenta AT, Taylor JC, Kini U, Clayton-Smith J, Novara F, Zuffardi O, Dobyns WB, Scheffer IE, Robertson SP, Berkovic SF, Represa A, Keays DA, Cardoso C, Guerrini R. Periventricular heterotopia in 6q terminal deletion syndrome: role of the C6orf70 gene. Brain. 2013 Sep 20. (abstract) (pdf Conti). Treiber CD, Salzer M, Breuss M, Ushakova L, Lauwers M, Edelman N, Keays DA. (2013). High Resolution Anatomical Mapping Confirms the Absence of a Magnetic Sense System in the Rostral Upper Beak of Pigeons. Commun Integr Biol. 2013 Jul 1;6(4). (abstract) (pdf Treiber 2013). Watkins-Chow, DE., Cooke, J., Pidsley, R., Edwards, A., Slotkin, R., Leeds, KE., Mullen, R., Baxter, LL., Campbell, TG., Salzer, MC., Biondini, L., Gibney, G., Phan Dinh Tuy, F., Chelly, J., Morris, HD., Riegler, J., Lythgoe, MF., Arkell, RM., Loreni, F., Flint, J., Pavan, WJ., Keays, DA. (2013). Mutation of the diamond-blackfan anemia gene rps7 in mouse results in morphological and neuroanatomical phenotypes. PLoS Genet. 9(1):e1003094 (abstract) (pdf Watkins-Chow). Stöger-Pollach, M., Treiber, CD., Resch, GP., Keays, DA., Ennen, I. (2011). EMCD real space maps of Magnetospirillum magnetotacticum. Micron. 42(5):456-60 (abstract) (pdf Stoger). Keays, DA., Cleak, J., Huang, GJ., Edwards, A., Braun, A., Treiber, CD., Pidsley, R., Flint, J. (2010). The role of Tuba1a in adult hippocampal neurogenesis and the formation of the dentate gyrus. 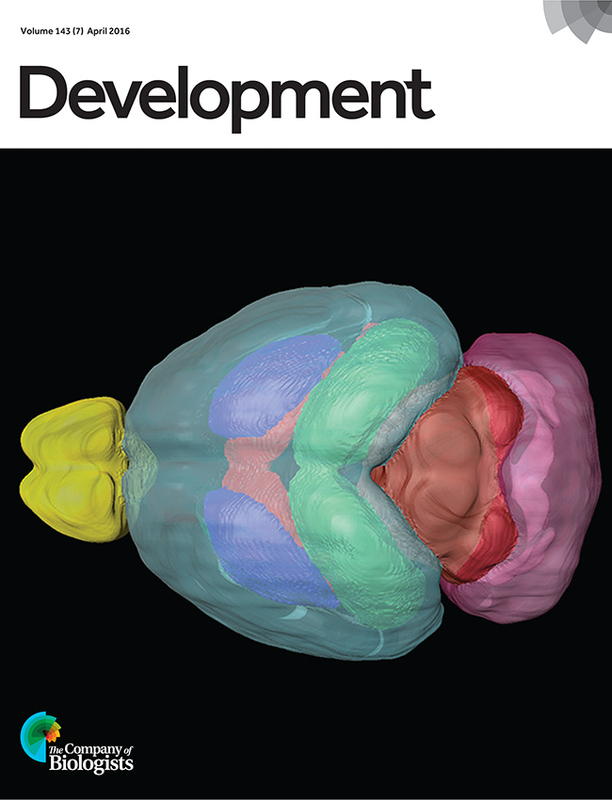 Dev Neurosci. 32(4):268-77 (abstract) (pdf Keays). Tian, G., Jaglin, XH., Keays, DA., Francis, F., Chelly, J., Cowan, NJ. (2010). Disease-associated mutations in TUBA1A result in a spectrum of defects in the tubulin folding and heterodimer assembly pathway. Hum Mol Genet. 19(18):3599-613 (abstract) (pdf Tian). Jaglin, XH., Poirier, K., Saillour, Y., Buhler, E., Tian, G., Bahi-Buisson, N., Fallet-Bianco, C., Phan-Dinh-Tuy, F., Kong, XP., Bomont, P., Castelnau-Ptakhine, L., Odent, S., Loget, P., Kossorotoff, M., Snoeck, I., Plessis, G., Parent, P., Beldjord, C., Cardoso, C., Represa, A., Flint, J., Keays, DA., Cowan, NJ., Chelly, J. (2009). Mutations in the beta-tubulin gene TUBB2B result in asymmetrical polymicrogyria. Nat Genet. 41(6):746-52 (abstract) (pdf Jaglin). Groszer, M., Keays, DA., Deacon, RM., de Bono, JP., Prasad-Mulcare, S., Gaub, S., Baum, MG., French, CA., Nicod, J., Coventry, JA., Enard, W., Fray, M., Brown, SD., Nolan, PM., Pääbo, S., Channon, KM., Costa, RM., Eilers, J., Ehret, G., Rawlins, JN., Fisher, SE. (2008). Impaired synaptic plasticity and motor learning in mice with a point mutation implicated in human speech deficits. Curr Biol. 18(5):354-62 (abstract) (pdf Groszer).